“Shame on you. This is how this flat was returned to me. Living like that with three kids, bravo. Shame on you,” the post read. He also added to the end of the post, “Good luck to your new landlord,” as he bid them a fond farewell. 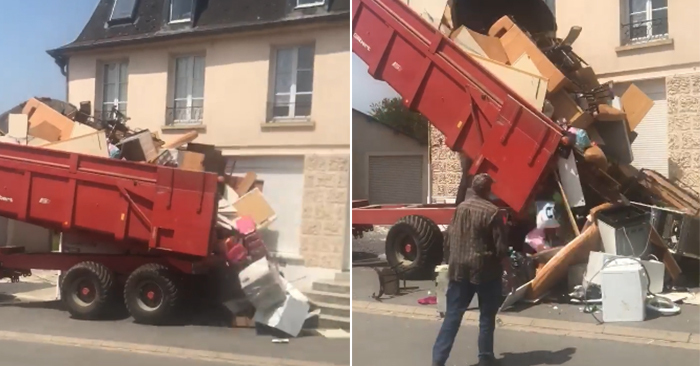 One thing is for certain, after this went viral, you don’t want to mess with a landlord who has a dump truck and a quick mind for revenge.